Scheduling a remodeling project can be an extremely exciting thing to get started with. Being able to create a space that is built entirely around you and your needs is something that should be exciting through and through. At Cambridge Exteriors, we are excited to be a part of your home remodeling project and there are a few ways that we provide you with a remodeling project that you’ll love and be excited for throughout the process. 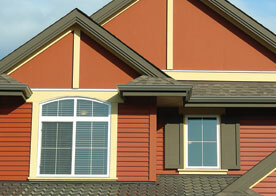 Cambridge Exteriors started out with a desire to be the leading roofing contractor in the Cherry Hill area. We have now spent over 20 years in the business, and in that time we have mastered our skills in new areas and added them to the list of home remodeling services that we conquer. Whether it’s standard kitchen and bathroom renovations that you need done, or full on deck redesigns and roof repairs, we are able to do it all. Being able to get all of the renovations that you need done with one individual team that you trust makes the process one that you can count on running smoothly. The best part of home renovations is that you are able to create a space that is built around the amenities and design that you need to love your home. When you sit down to talk with our team about your home remodeling or renovation plans, we will ask you what factors of your current layout are you not content with. 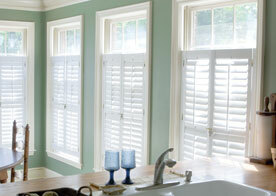 After that, we will find solutions to these issues and discover new ways to incorporate them into your home. Our goal, after all, is to provide you with a space that you can call your own and make the most of. Once we’ve agreed upon a layout we will move onto design. 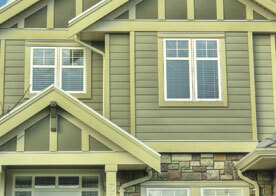 We will show you a selection of materials that you can use in your home remodeling project. All of the materials that we use are going to be coming from the leading suppliers in their industry. That means that we will not only be able to provide you with a space that is beautiful, but one that is efficient and sturdy. The unknown factors in remodeling projects can make the process much less enjoyable. When you work with Cambridge Exteriors, you will see that we do everything we can to minimize the unknown in your remodeling project. We are able to do this through open means of communication throughout the project, but also through the consultation that we provide early on in the project. During this consultation we will review the space that is going to be remodeled, the materials that are going to be used and the overall work that needs to be done. Being able to compile these factors allows for us to provide you with a realistic time frame of the project and what a budget should look like to complete all of the necessary parts. If you’re ready to get started on your home remodeling or renovation projects, then it’s time to call the Cambridge Exterior office in Cherry Hill. We can help you get started on your way with this new and exciting project.